Rome, April 10th (askanews) - Medhanie Tesfamariam Berhe "sees witnesses at every hearing who say 'that is not the trafficker, he is a good person, the voice is not his, the signature is not his, the documents are not his' . He's angry, annoyed, depressed, because he doesn't understand why he's still in prison. " This is what is told to askanews by Michele Calantropo, the lawyer who since 2016 defends the Eritrean migrant, class of '87 in Palermo, extradited to Italy from Sudan on charges of being the trafficker of human beings Medhanie Yedhego Mered, also Eritrean, known by the nickname "the general". Accusation for which he risks up to 25 years in prison. Already in the aftermath of his extradition to Italy from Sudan, in June 2016, relatives and friends of the young migrant Berhe had issued declarations and produced documents to prove that he was not Yedhego, supported also by many migrants who arrived in Europe using the "services" of the general, who denounced an exchange of person. But the prosecutor's office remained firm on his accusation and the trial began. For his part, the court has prepared a phonic appraisal, for the analysis of the interceptions arranged by the prosecutor's office, and “the expert, who does not speak the Tigrinya, in his report stated that, by ear, the interpreter ruled out that they same person, and that through a mathematical model we arrive at a non-certainty of the voice, "Calantropo said. In addition, the prosecution presented "a series of messages in which my client talks about money, about migrants, without considering that Khartoum is a hub to leave for Europe, and that the fact that an Eritrean has the numbers of traffickers it is absolutely normal, because otherwise it does not start ”. Also with regard to the alleged traffic made by his client, the lawyer added, "there is no evidence that he has enriched himself, because no current account has been produced". "My client was also accused of having a second cell phone, but it was never found, on which, according to the prosecutor's office, there was certainly something. But he was never brought into the courtroom unless brought by Sudanese officials, "said Calantropo. 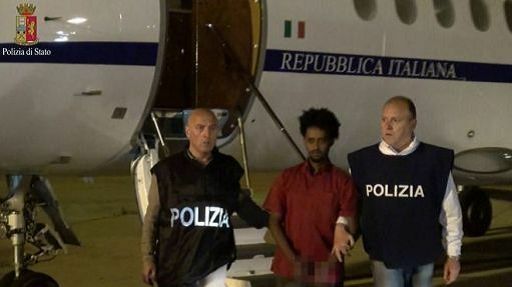 Because the witnesses expected in the classroom in Palermo on April 15th are just two officials of the Sudan national security and intelligence services (Niss) who in 2016 delivered Mered to Italy. "I have no deed signed by these two Niss officials. I have nothing. The prosecutor has not deposited anything signed by these subjects - specified Calantropo - I have only the communication of the arrest and the seizure report that the Sudanese have made. I don't know if they have investigated, if there have been any shadowing services ". "When the prosecutor asked for the hearing of the Sudanese texts, I represented the court with the inopportunities to hear these witnesses," the lawyer said, referring to the accusations made against Sudanese security forces by organizations such as Human Rights Watch of complicity in the trafficking of migrants, as well as arrest warrants issued by the Criminal Court of The Hague (CPI) against Sudanese President Omar al Bashir for war crimes and against humanity and genocide committed in the Darfur region. Objections to which the court replied that "there is no actuality of this type of relationship and that even the slope of international arrest warrants issued by the CPI cannot influence the officials of Sudan". "I can only accept this ordinance - the lawyer commented - with the fear, in light of the numerous reports of international organizations on the level of corruption of the Sudanese police, which are of genuineness, with equal damage for my client", because the hearing on April 15 "should be one of the last hearings, if not the last, before the conclusions", with the sentence expected "in mid-May". Great is the bitterness of the lawyer when he tells of the "abundant evidence" collected over the years on the real trafficker, "today still active in Uganda, where he walks escorted by the police, and from where he still manages the route to Libya and the one that from the Uganda, passing through Sudan, Angola and Brazil, leads to the United States ". "I believe, in light of the collaboration received from numerous witnesses, that if my client had been wealthy, I would have brought the real trafficker to the courtroom," he concluded.